OAKLAND, Calif. — Golden State Warriors center DeMarcus Cousins is expected to miss the remainder of the postseason with a significant left quadriceps injury, but there’s faint optimism that he could possibly return for the NBA Finals, league sources told Yahoo Sports. 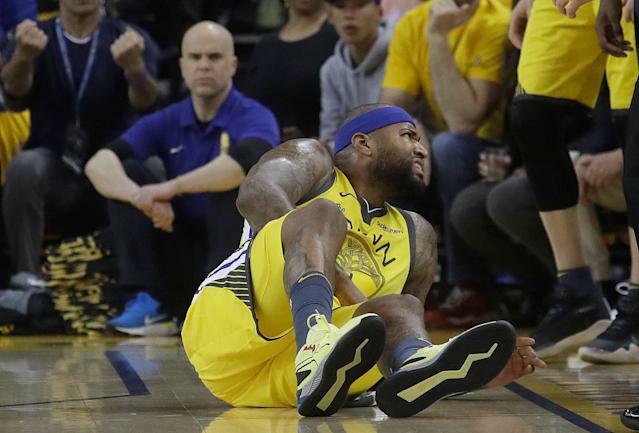 Cousins, 28, underwent an MRI on Tuesday morning, and the Warriors announced he had a torn quadriceps and that he would be out indefinitely, confirming the team’s initial concerns. It was all smiles and high-fives from the visiting team on Monday.